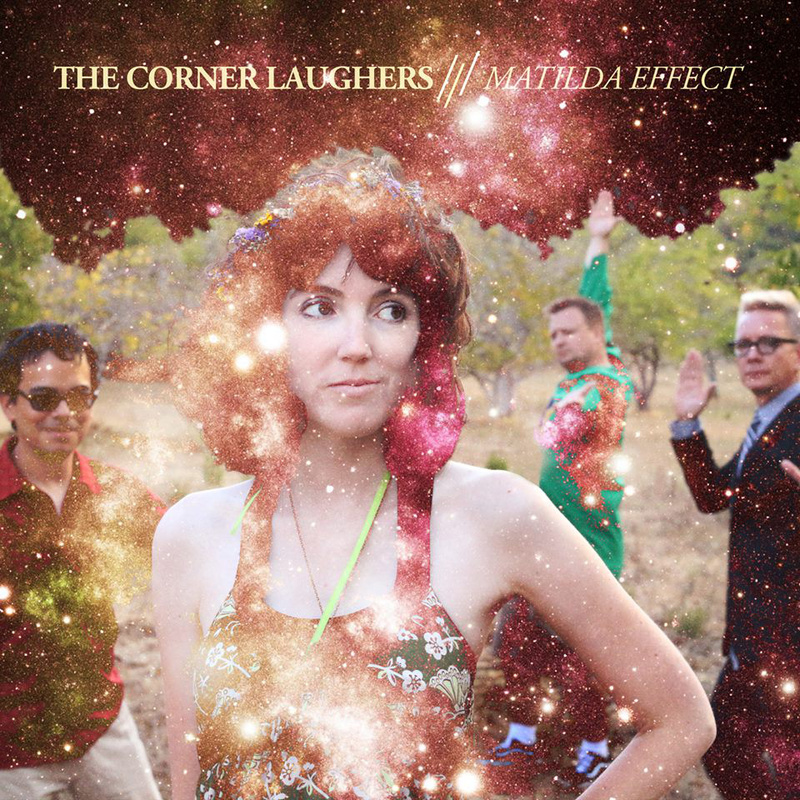 American Pancake: The Pristine Pop of The Corner Laughers - "Matilda Effect"
The Pristine Pop of The Corner Laughers - "Matilda Effect"
When you hear The Corner Laughers' Karla Kane's pristine vocals on the track The Girl, America it feels very much like 60's Brit Pop. She imbues each syllable with a kind of wide eyed innocence. Like a lot of the songs on their latest album "Matilda Effect" the production is big and sweeping and the musicality is top notch. Sophie In The Streets of Stockholm with its jammy bass heavy beat and almost proto punk polka feel could almost be a Blondie meets Abba song. I actually felt an Abba thing going on in tracks like Midsommar and Go Fly Your Kite and, well even Lammas Land. The Corner Laughers' sound is so polished, so nice, so non offensive that at times it can feel like you are listening to music composed for a Disney cartoon soundtrack or as in Martha (Cincinnati 1914) geared for the dinner crowds at some show in Branson, Missouri. I hope this is not coming across as a dig. It is not. Anytime an artist stays true to themselves I applaud them. In Fairytale Tourist the amount of whimsy is amped up ten fold as to feel like it might be geared toward ten year olds. There is, of course, absolutely nothing wrong with this kind of all inclusive ultra mainstream pop and The Corner Laughers do it well. I think the ABBA comparison is a kind of good one and quite frankly, ABBA did pretty well for themselves. While The Corner Laughers' "Matilda Effect" doesn't appeal to me overall as an album, the aforementioned tracks The Girl, America and Sophie In The Streets Of Stockholm do. All this being said, I hope you check this album out and decide for yourself. It just might be your cup of tea. I suppose I just enjoy my tea a bit stronger.